Limited liability for shareholders has conferred unlimited liability on people. It's time corporations were democratised. There’s no doubt that shareholder capitalism has facilitated business activity. But ‘limited liability’ – where executives are only financially accountable for the value of their investment – has also benefited frauds and the self-enrichment of executives. That’s at the expense of workers, consumers, creditors, pensioners and citizens. Ultimately citizens have to bear the financial, health, social and psychological costs associated with environmental damage, pollution, poor products, industrial accidents, loss of jobs, pensions and savings. Yet the bearers of unlimited risks and liabilities are denied controlling rights in the day-to-day governance and direction companies. 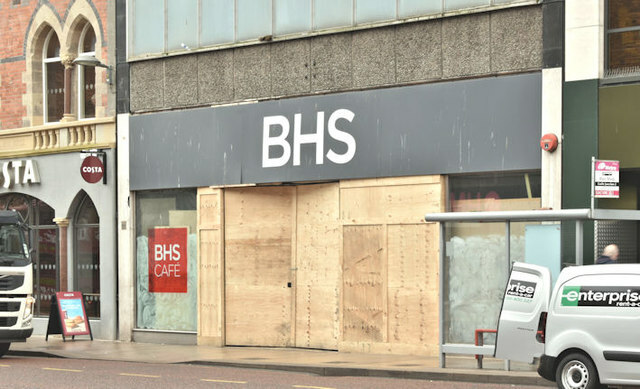 Recently we’ve seen Directors of Carillion and BHS collecting mega pay packets and shareholders receive large returns – while supply chain creditors, employees, HMRC and pension schemes were left with large losses. Too many companies fail to pay even the statutory minimum wage of their workers whilst executive pay bears no relationship to their performance. Tax avoidance, bribery, corruption and money laundering are rife because it boosts profits and profit-related executive pay. Little thought is given to the damage done to the social fabric. A large number of companies have used techniques of strategic bankruptcies to dump around £4bn of pension liabilities and inflicted hardship on employees and retirees. Banks have long excelled at mis-selling financial products, rigging interest rates, foreign exchange rates and reckless risk-taking to enrich their shareholders and directors. The Royal Bank of Scotland deliberately inflicted hardship on small businesses, all to increase profits and executive remuneration. Company directors rarely face any personal costs for malpractices. Shareholders do not bear any personal liability even if the corporate practices enriching them bring death and destruction to others. In pursuit of profits, corporate practices have delivered smoking and diet-related diseases and Bovine spongiform encephalopathy, commonly known as mad cow disease. Work-related stress can ruin family and personal life. And industrial accidents blight the lives of families when thousands of people suffer respiratory and other health problems. The losses of shareholders are confined to the amount of paid-up share capital. The traditional wisdom is that in the event of bankruptcy shareholders are the last in the queue for recovery of the amounts owed to them and thus bear the residual loss. However, shareholders, as demonstrated by the demise of private-equity funded Maplin and Bernard Matthews, have devised capital structures to enable them to even avoid the residual risk. In sharp contrast, citizens cannot eliminate or avoid their risks. We can all raze mountains, divert rivers, clear forests and build new roads, provide vast subsidies and grants to welcome companies, but they do not owe loyalty to any nation, community, products or people. At the slightest hint of personal profit, shareholders of Cadbury can sell-out to Kraft, and GKN to Melrose. Little, if any, weight is attached to social consequences or even the long-term consequences to the business itself. It all falls to the current and future generations of citizens to clear up the seas, rivers and the environment, support employees and nurse the victims of poor corporate practices. Jack Welch, former chief of General Electric, is credited with popularising the idea of “shareholder value” in the 1980s, but now says that “shareholder value is the dumbest idea in the world … Your main constituencies are your employees, your customers and your products”. Yet successive governments have continued to promote shareholder-centric model of corporate governance. The government’s latest consultation paper on corporate governance sees no room for employees, customers and other stakeholders on company boards to check executive excesses or the influence of shareholders. Neoliberal logic is that shareholders bear the risks and should therefore have the sole controlling rights for governance of corporations. However, they forget that citizens bear the ultimate cost and their risks cannot be eliminated. As the ultimate risk-bearers, their case for representation on company boards is unassailable. But citizens can be represented by employees, consumers and other stakeholders who have a direct interest in the long-term wellbeing of company and society. Their rights should not be less than those enjoyed by shareholders. Through seats on company boards, employees can secure a fairer distribution of income and challenge gender and other forms of discrimination. They can curb asset-stripping and influence investment, training and innovation. Across the 28 European Union countries (plus Norway), most have some form of employee representation on company boards. The UK stands alongside Belgium, Bulgaria, Cyprus, Estonia, Italy, Latvia, Malta and Romania as the only EU countries without a statutory requirement to have employees on boards. Consumers play a key part in corporate success and should also be represented on company boards. They can remind companies that their success depends on better products, services and investment in research and development. After all, the names and address of consumers at banks, insurance companies, water, gas, electricity, telephone and other companies are known. The legislation could introduce eligibility criteria – say those who do business with a company for at least twelve months can vote and offer themselves for election to the company boards. The plurality of interests on company boards can curb abuses of employees, consumers, the environment, society and the company itself. That change will need to be mandated by law and will no doubt be opposed by those who have got used to treating companies as their private fiefdoms. Yet the wiser souls know that democratisation of corporations is long overdue and we cannot afford the daily stream of abuses and scandals.